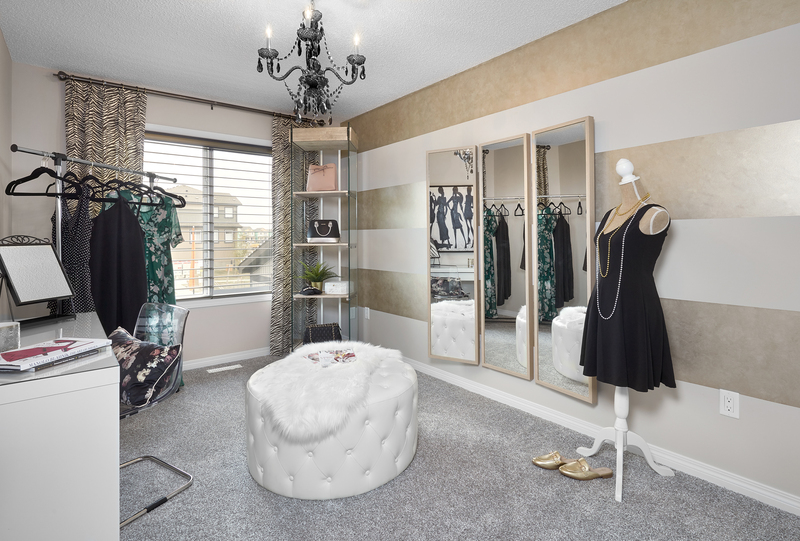 Convert your spare bedroom into the dressing room of your dreams. Moving into a home with more square footage can sometimes mean you don't have enough furniture to fill the space. The designers used a metallic paint to create a striped feature wall that pops, added some contrasting accents throughout the room, and voilà - the dressing room of your dreams. The room was finished with a wall-mounted multi-angle mirror and elegant seating area to create the perfect setting for getting ready for a girls night out.